Inbound marketing tactics are the most versatile tool in the arsenal of every marketer. More than ever, brand managers and marketing experts are relying on inbound marketing tactics to fuel brand growth. Well, previous success is a big reason. According to research, Inbound Marketing yields 3 times more leads per dollar than traditional methods. Looking up to successful examples, marketers want to fuse their brand with inbound marketing tactics that help, resolve and educate at the same time. And the good news is that inbound marketing is completely free. That said, even though inbound marketing tactics are primarily fueled by ideas and not by funds, you still have to create a strategy. An idea is pretty much worthless without a clever execution plan. In this article, we’ve decided to go through all the key inbound marketing tactics. After implementing them, you will find it much easier to generate leads and grow your brand. When it comes to inbound marketing, people have begun to expect content targeted at them. Skepticism towards brands is at an all-time high, which is a direct result of previous instances of aggressive marketing. Instead of aggressively forming your content to please customers, you have to engage them through a more personal approach. 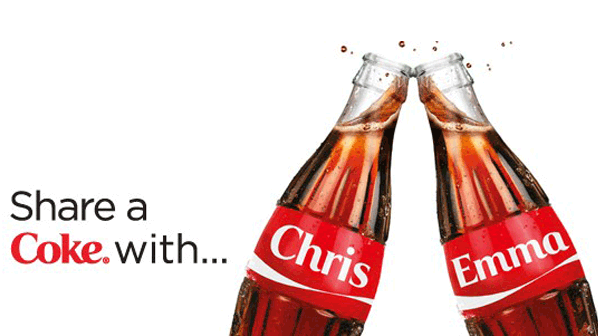 An excellent example of inbound personalization is Coca-Cola’s famous “Share a Coke” campaign. Giving every Coca-Cola fan the opportunity to have their own drink by etching over 150 most popular names on the Cola bottle, the company made a major success. Starting in 2011 in Australia, the campaign has seen a repeat for seven years straight. But what makes it so effective? It’s personalization and the factor of unexpectedness. People don’t expect behemoth brands like Coca-cola to incorporate anything personal into their strategies. To sneak into the hearts of your customers, you have to do the unexpected and make the first move. If you’re unsure of how to establish a personal approach, look at social media for guidance. Establish a relationship with fans by replying to comments and reposting the best memes or other UGC. One other thing that makes Coca-Cola’s marketing so effective isn’t the company itself. It’s you and other regular people like you who has the power to turn a campaign like this into a success. As unbelievable as it sounds, the Share a Coke campaign depends solely on fans to drive it. When people first saw Coca-Cola bottles and cans with their name on it, what was their first instinct? To share it, of course. As more and more people began posting their personalized Coca-Cola bottles on Facebook, Instagram, and Twitter, it spread like wildfire. Thus, one of the best inbound marketing tactics for 2019 is to make your content shareable. Every blog post, video or product that you release have to be crafted with shareability in mind. No matter how useful your content is, there is no use in being just that. Instead, people have to deem it worthy enough to share it with their friends. So, how to make content that is shareable? It’s quite easy. Ask yourself how can your content help customers. Figure out which problem they have and how can your content help. By creating content with a purpose, you urge other people to educate their friends on social media. Don’t just discuss your own products – spread to the entire niche and write about a wide range of topics. Diversity is guaranteed to bring in leads. Think of tutorials, how-tos, and tip lists to sneak into the social media accounts of your customers. They will deem your content useful, but also appealing. 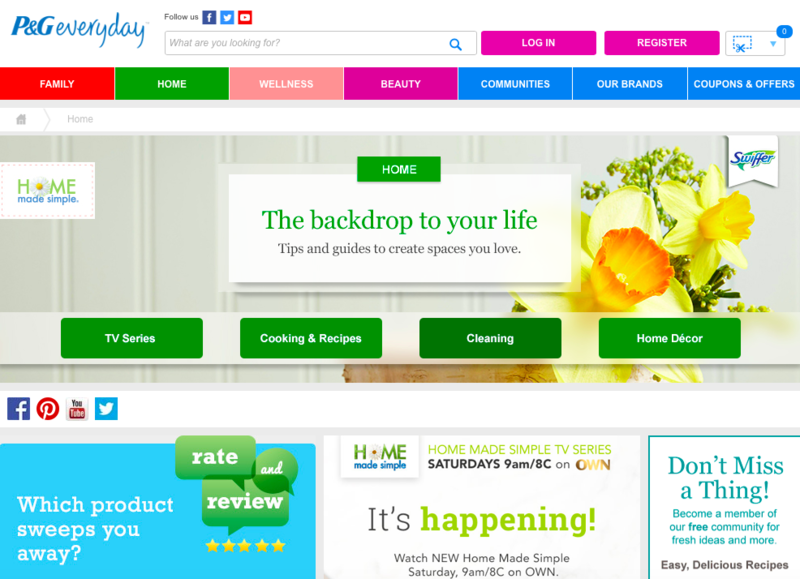 Add your own design, flair or detail to your blog or website. Be inspiring and stand out. Many people think that once you insert a few keywords in your blog articles, people will automatically start coming to your website – but it’s just not that simple. This time last year, HubSpot concluded yet another interesting research. 61% of all marketers stated that improving SEO is their priority when it comes to inbound marketing. While SEO rankings are important, they are merely the starting point of the purchasing journey. To get closer to your customers, write readable and interesting posts. 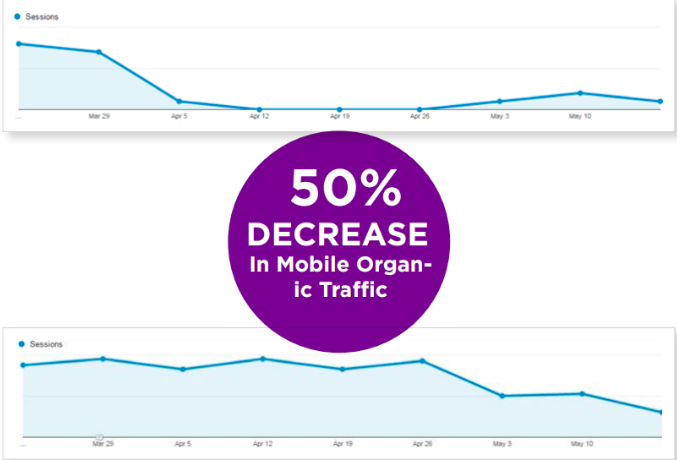 Texts packed with keywords can cause people to click on your website more than ever. However, they will also exit your website quicker than ever. Guest blogging is one of the best lead generating inbound marketing tactics. Having other people post on your website or vice versa creates a storm of interest around your brand. When people see that others want to collaborate with you, your reputation will soar. 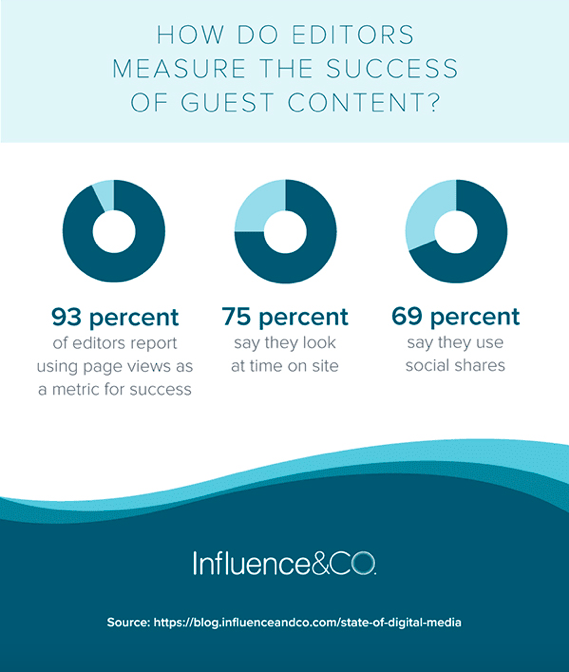 But how will you measure the success of your guest-blogging strategy? But how can you employ this tactic to be most effective? You can use online programs to locate the email address of the person running the website. Once you have the address you need, send them a short, but convincing email. Invite them for a chat via Skype and discuss how can your blogs/brands benefit from each other. Make a list of non-competitors and write to them. By exchanging simple 500-word blog posts, you will create a backlink network that will benefit everyone. You’d say why would your lead give you anything in return. We have a perfect solution – all you have to do is to provide valuable content and you will get their email address in return. Isn’t that your ultimate goal? To acquire leads along with their email address? But you have to create lead magnets along with the content. Visitors arrive on your website >> They are presented with a lead magnet offer >> They accept your lead magnet offer >> You get their contact information to communicate with them. This motto revolves around providing exactly what people need. In B2B marketing, a lead magnet is something that others will want to have. It can be a PDF file or a recording of a webinar, for example. The only condition is that the magnet has to provide value. 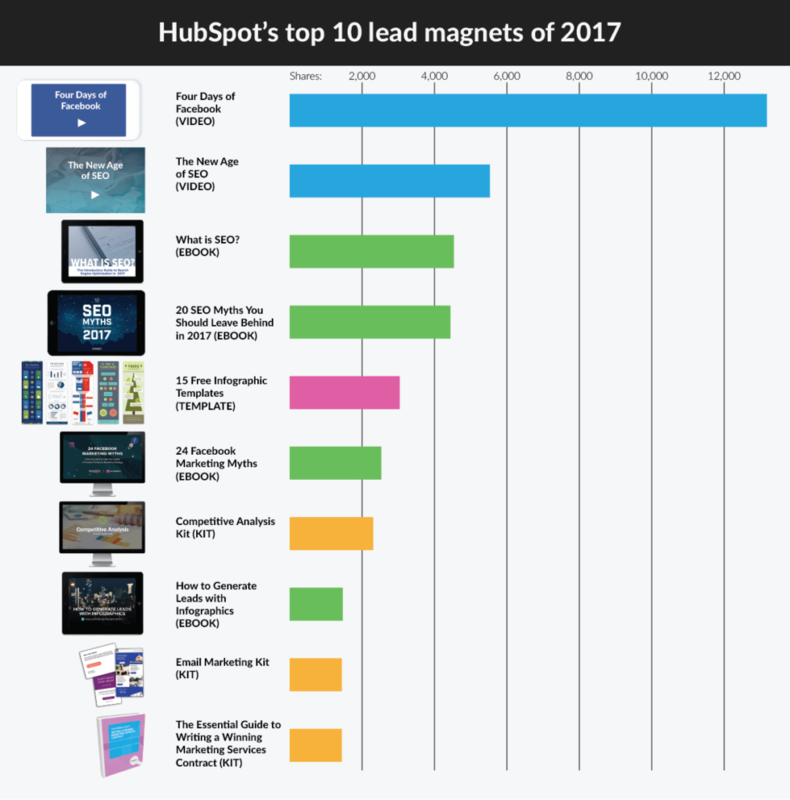 Have a look at the top ten lead magnets used by Hubspot. Once you’re sure of the value, create a gateway for others to obtain it by simply sharing their contact info. This is a lead generation from nothing, and it can result in future connections on the basis of your valuable content. Once your content marketing strategy gets more complex, it will spread to different niches. Because of this occurrence, 2019 will see marketers create a lot of microsites. Well, it’s a small, independent version of your main website/blog that deals with a specific niche or topic. It seems like a lot of effort. But the reward will be well worth the effort. Take an example of the success of Procter & Gamble. It is a company that deals in living rooms, kitchens, laundry rooms, and bathrooms essentials. This site is an addition to their original website and helps them to garner better exposure and increased inbound leads. But what is the purpose of microsites? Microsites are excellent if you want to rank at the top for long-tail keywords. Remember when we said to write for readers, not for SEO? Well, microsites give you a bit more freedom to focus on SEO and keyword establishment. If you’re focusing on a particular niche, you can easily attract people onto your main website. Keep it subtle, but don’t forget to signify that your brand is behind the microsite. After your brand gains popularity in your respective niche, don’t lose time and think about collaborations. Connect with other experts in the area and organize webinars. They can be a great choice for product promotions, educational sessions and much more. And the best thing is that you don’t need expensive equipment. An office laptop will do just fine. But make sure that you don’t stretch your webinar more than it’s necessary. The audience does not prefer attending webinars that run longer than between 30 and 40 minutes long. If you abide by some basic rules, webinars can prove to be one of the best lead generating inbound marketing tactics for your business. Moreover, it is an efficient way of establishing a personal relationship with your customers. Generating leads is one thing, but making a lead into a customer is much harder. From introductory videos and landing pages, people will begin their journey of getting to know your brand. Accelerate this process by repurposing old content. As Google penalizes for duplicate content, you can still demonstrate it to new prospects. As a welcome mail or the follow-up, including three of your most important blog posts. Keep the body of the email crisp and concise, just to allow your excellent writing to do the talking. 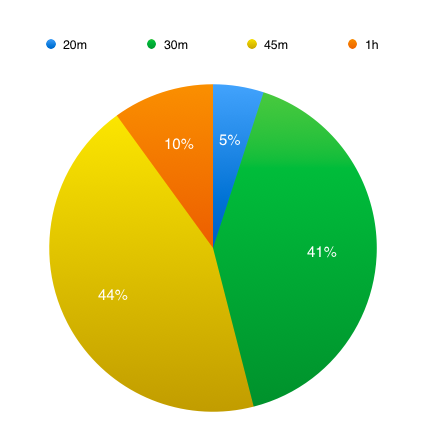 How does testing count for Inbound marketing tactics? 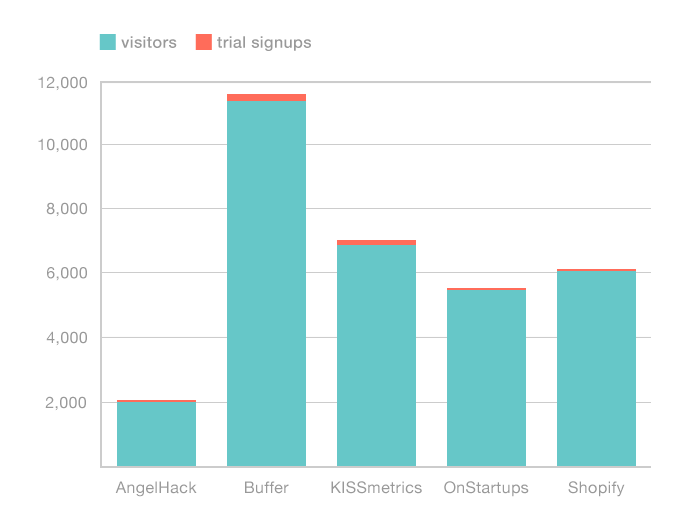 Well, A/B testing is not your regular testing. It coverts two options and tests which one shows best results. And A/B is not just an option anymore. It is more like a necessity. It can be hard to decide on such details. For example, you may not be sure whether to include a video at the top or in the middle of a blog post. In 2019, it will be impossible to generate leads without testing your content. Once you find out which option is the best, you will see your generated leads spike. The only thing you have to change is the perspective from which you observe content. There is no final version – just the one that performs the best. People these days always seem to be hooked to their mobile phones. 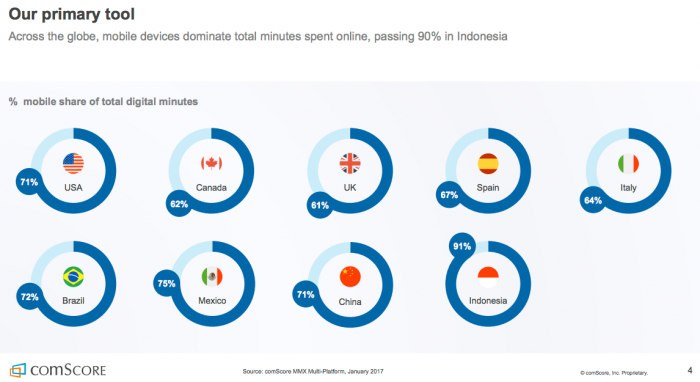 No wonder mobile accounts for 71% of total online time in the U.S.
And not just in the states, as you can discern from the above image, mobile accounts for most of the online time in the majority of the countries around the world. Therefore, if you want to reap fruits from your lead generating inbound marketing tactics then smartphone-optimization is a must. And if the past, as well as the current trend, is anything to go by, more and more people will abandon desktop browsing in favor of smartphones. Apart from this, even Google penalizes websites that aren’t optimized for mobile. You can lose many potential leads because forms and other key elements aren’t loading properly. According to a study, in 2015, the companies that failed to optimize their websites were hit with a 50%+ traffic reduction penalty. Can you even imagine losing half of your leads? Therefore, measure the level of “mobile-friendliness,” of your website today. Scan every nook and cranny and resolve any malfunctioning attribute. Make the necessary fixes, and your lead numbers should rise. 2019 is likely to be a hectic year in lead generating inbound marketing tactics. Start implementing these strategies to be fully prepared for the challenges that next year has to offer. Reinforce your creative ideas with tools and plans, so that you can generate more leads than ever. Stay ambitious, and your brand will reach the heights you know it deserves. Which one of the lead generating inbound marketing tactics did you like the most? Author Bio: Tiffany Harper is a talented writer from New York, an extremely active woman, and a real leader. She began her career as a journalist and later proceeded it as an educational writer and editor. Now she works as an experienced freelance writer with Essay Writing Land, SuperiorPapers, academic writing services in uk, EduGeeksClub, custom essay writing. Please do not hesitate to contact on Twitter.